Bronx Community Health Network (BCHN) is proud to announce joining with the American Diabetes Association to celebrate National Healthy Lunch Day today, Tuesday, November 15. The engagement day highlights the importance of good nutrition as part of a healthy lifestyle and encourages and motivates people in the workplace to commit to eating a healthy lunch today and every day. "There is tremendous confusion about what to eat, that is, what is healthful and what is not," said BCHN Program Manager Michael Hernández. "Often the foods choices people make are full of calories, yet lack nutritional value, which contributes to rising rates of diabetes, heart disease and obesity-related illnesses nationwide. National Healthy Lunch Day will help us inform and empower our associates to make healthy food choices." To celebrate National Healthy Lunch Day, BCHN is sharing healthy lunch tips with associates and on social media. "Since our founding more than 75 years ago, the American Diabetes Association has championed the importance of healthy lifestyle choices as an important way to manage and prevent diabetes," said Alicia H. McAuliffe-Fogarty, PhD, CPsychol, Vice President, Lifestyle Management, American Diabetes Association. "Through National Healthy Lunch Day, the Association calls on all Americans, including people with diabetes, to commit to making a healthy lunch part of their daily routine, whether it’s bringing a healthy brown bag lunch or choosing wisely while eating out. We are pleased that Bronx Community Health Network has joined our efforts." 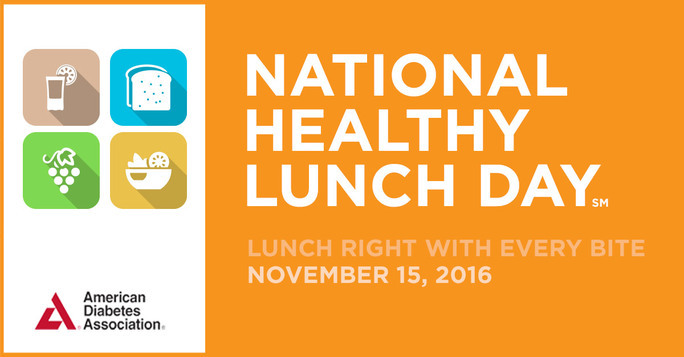 To learn more about National Healthy Lunch Day, visit www.wellnessliveshere.org.